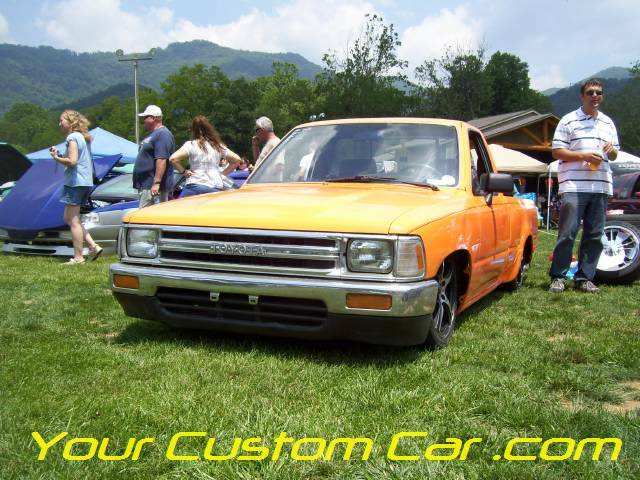 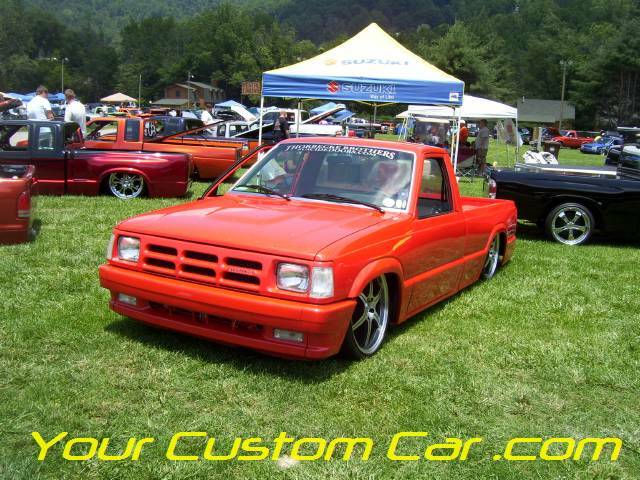 The South East MiniTruckin Nationals show was held at the Maggie Valley Fair Grounds this year. 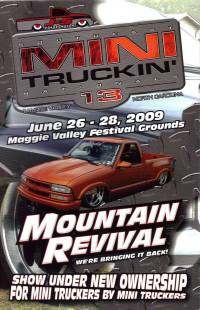 In previous years this show was held in Pigeon Forge, TN, but due to some unfortunate circumstances the show had to be moved. 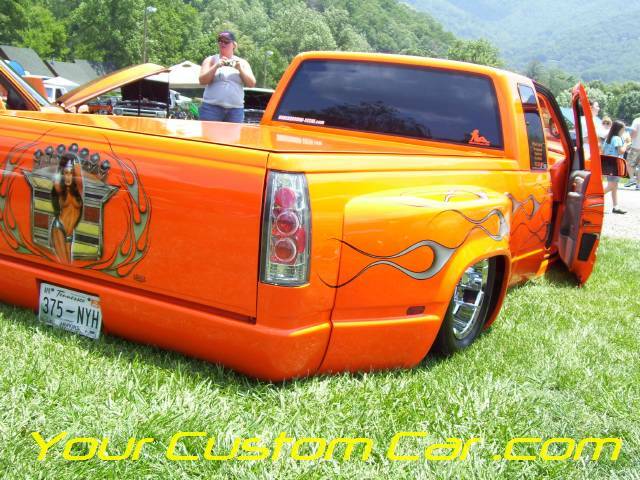 It may have been because the show got so big, Pigeon Forge just ran out of room for all of the custom mini trucks, full size trucks and custom cars that always attended. 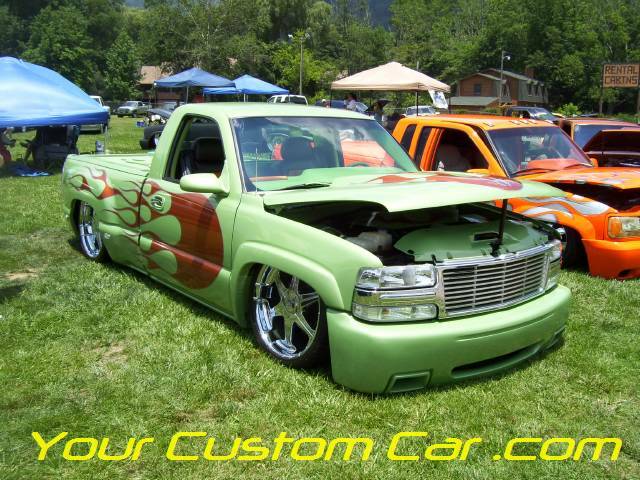 However, the show is now back in full force and had a really nice turn out this year in the new location! 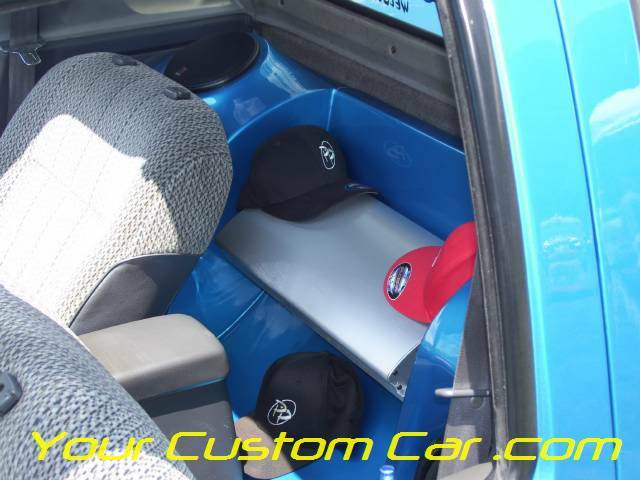 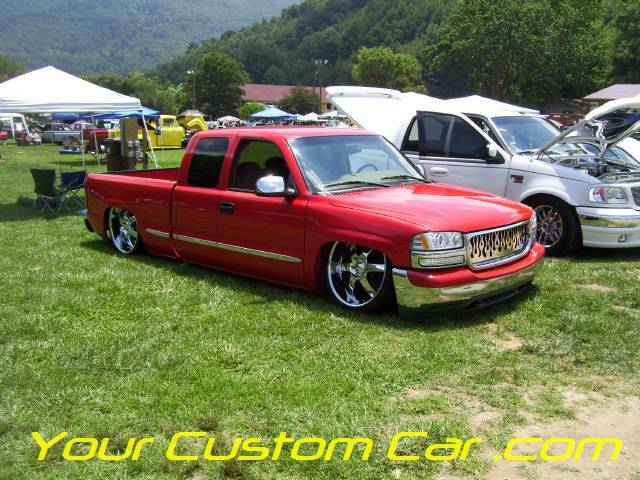 I loaded up my Impala and headed into the mountains of NC with my Car club, Pebble Pushers. 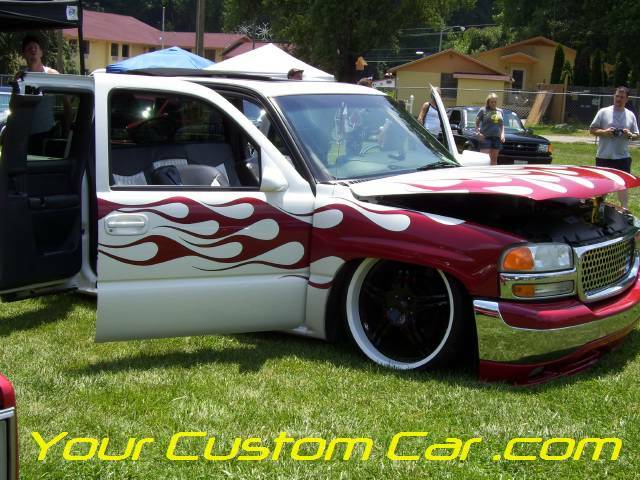 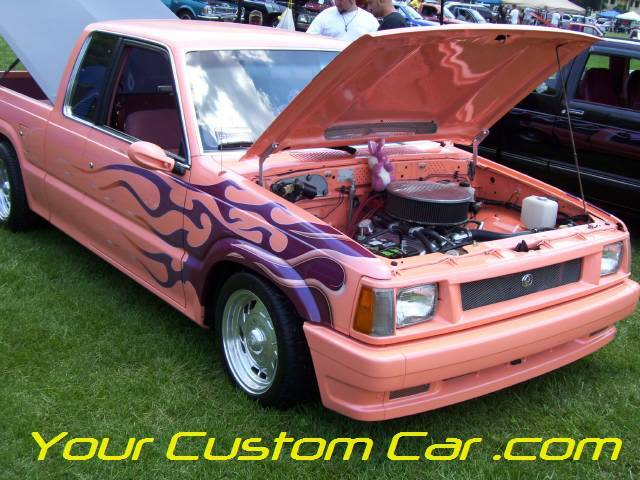 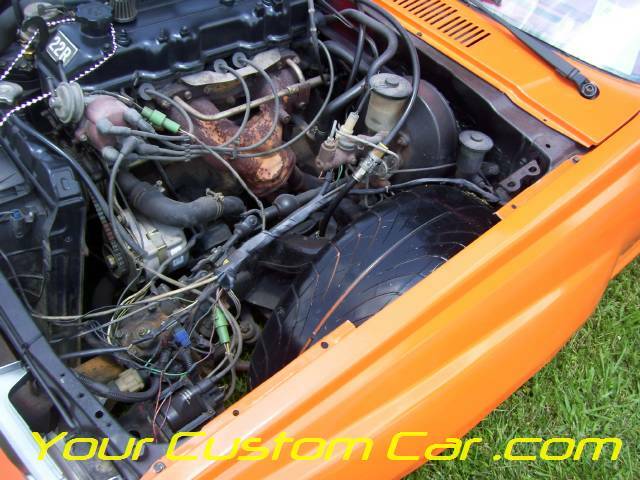 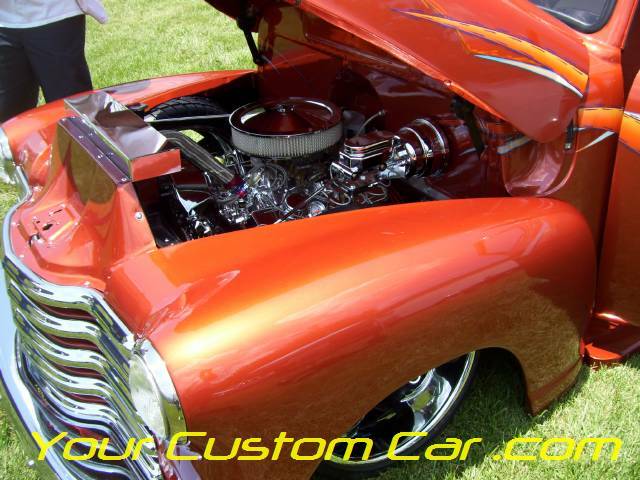 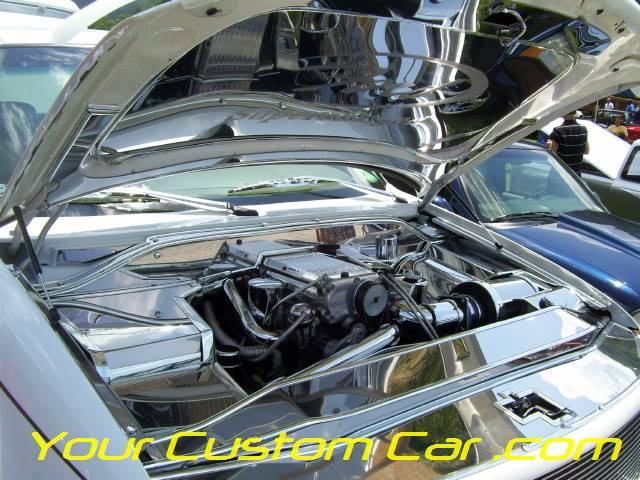 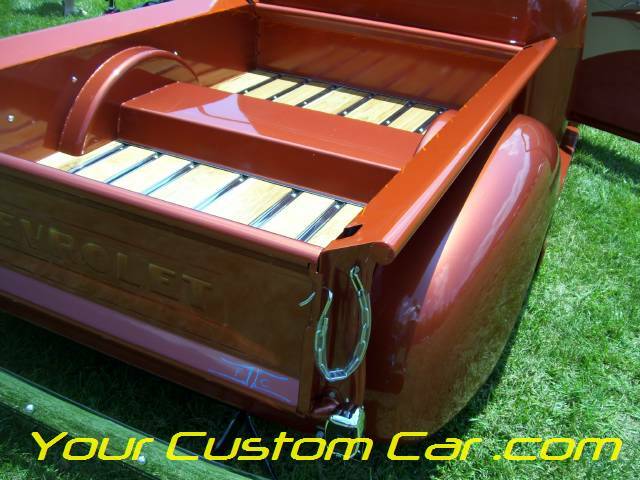 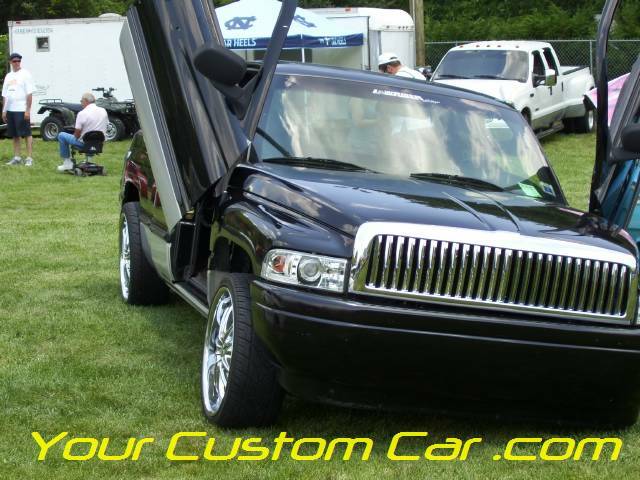 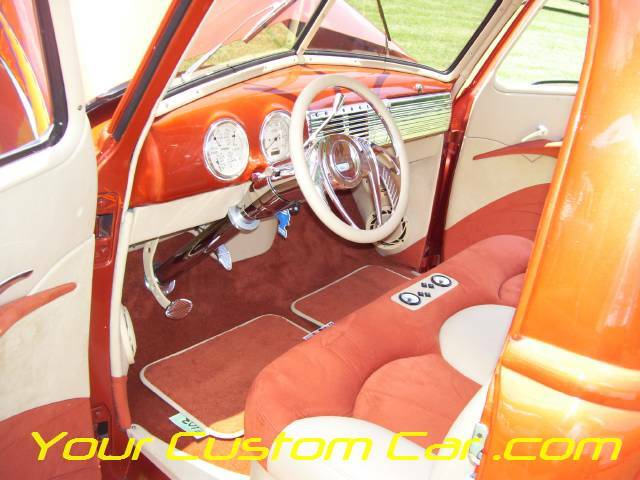 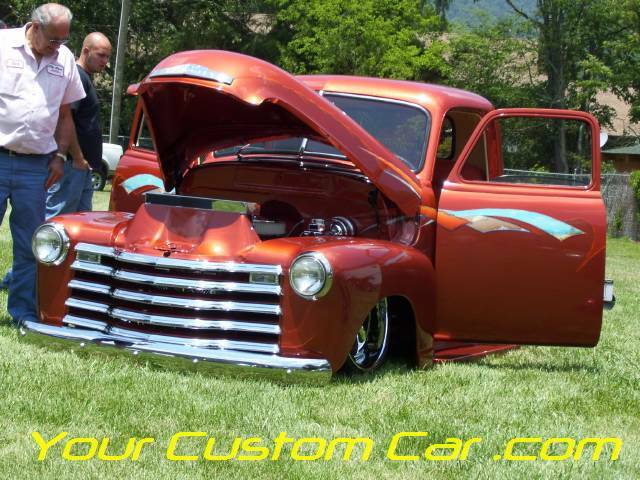 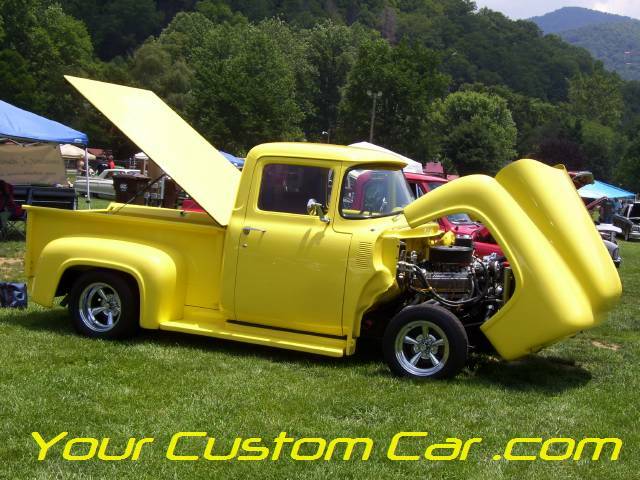 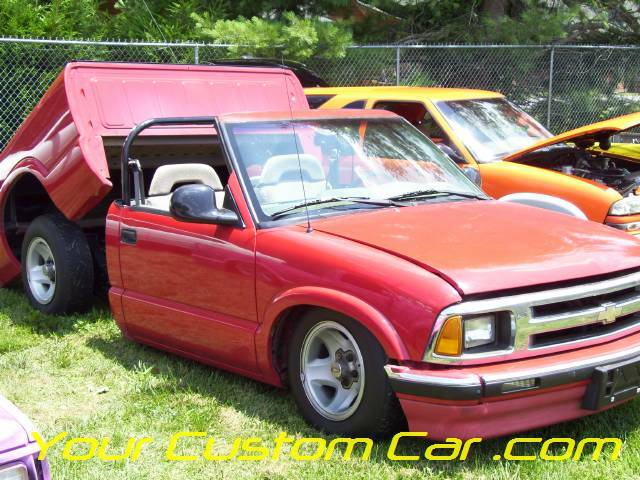 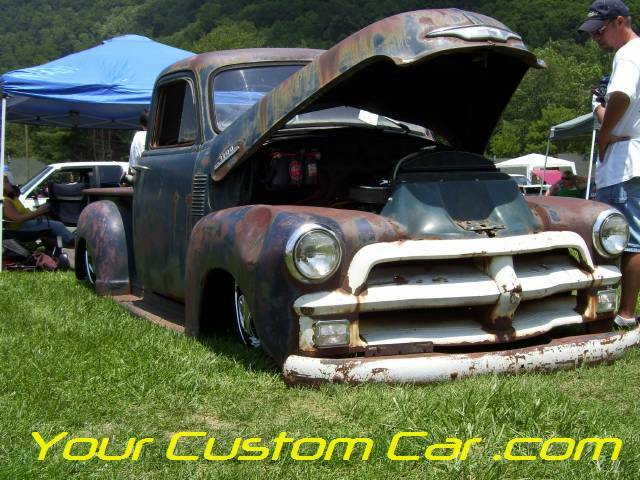 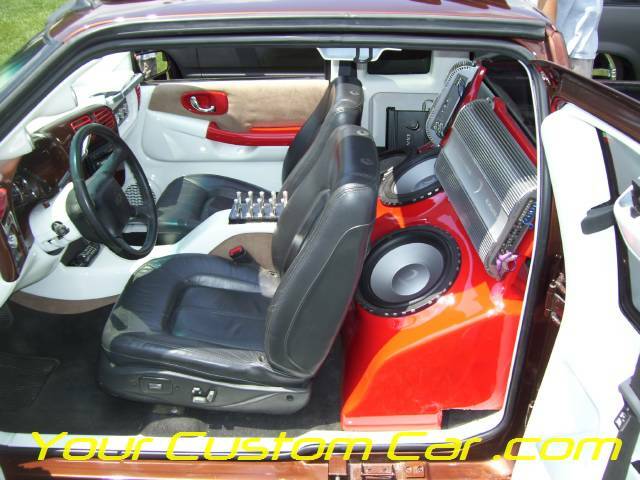 As a fan of all types of custom cars and trucks, I try to attend as many shows, of all types, as often as possible. 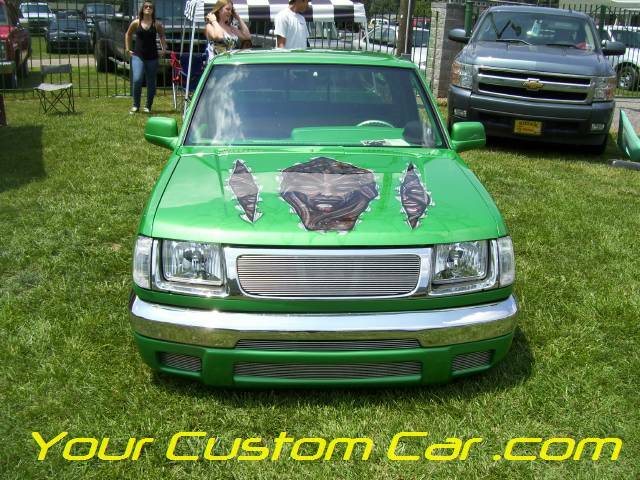 Even though I knew I was going to a mini truck type show, I took the Impala because I knew it would be fun. 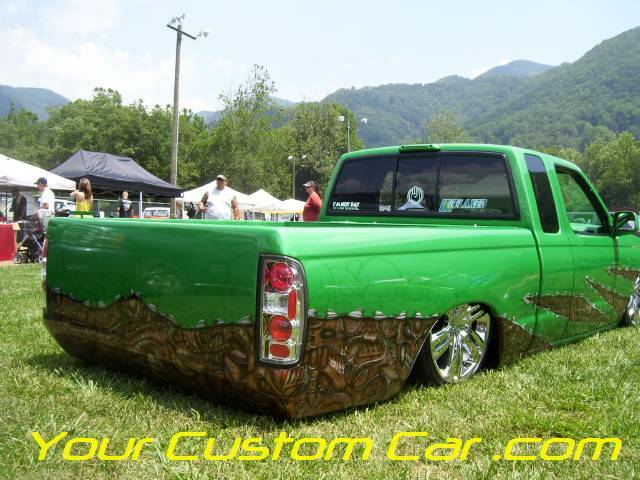 The show was in a fenced in grassy area where the Maggie Valley Fairgrounds are held. 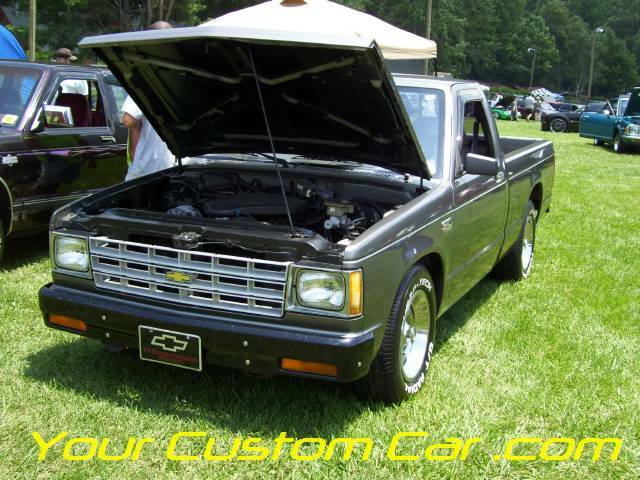 The lot was plenty big to hold all of the show trucks, some wild and some mild, and the few cars that were on display. 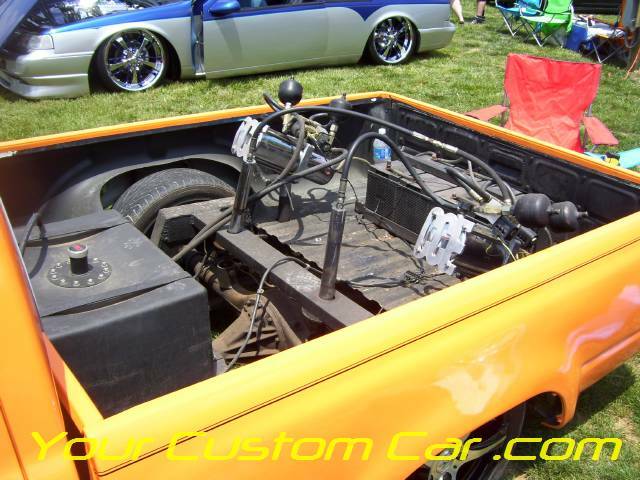 Seeing as how the MiniTruckin nationals is officially classified as a mini truck show, it was not surprising to see that there weren't many cars on display, but the few that were looked pretty cool. 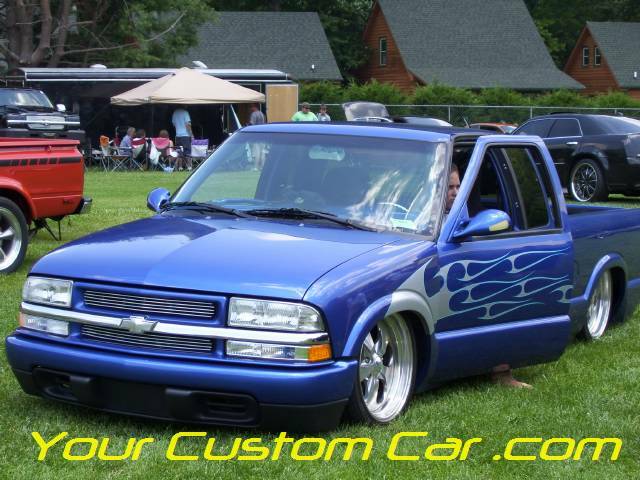 The air temp was a little on the hot side, but there was a pretty steady breeze that kept us all cool. 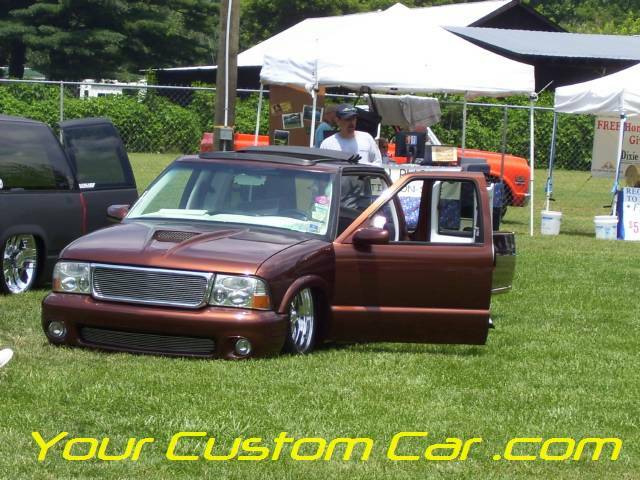 That plus our pop-up shelters made the high temps tolerable. 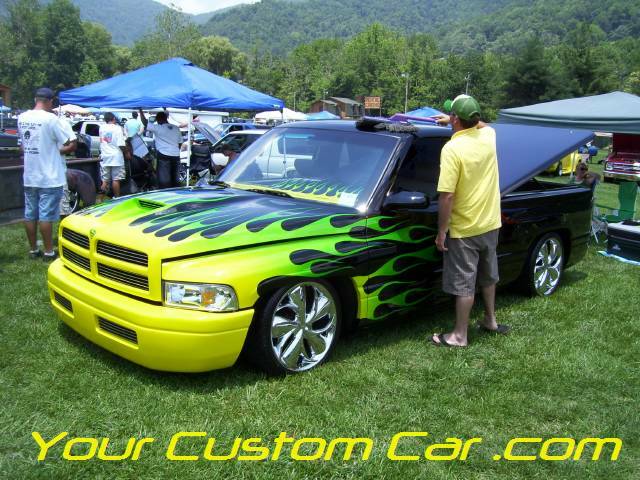 There were food vendors at the show to keep us all fed and refreshed with some ice cold drinks. 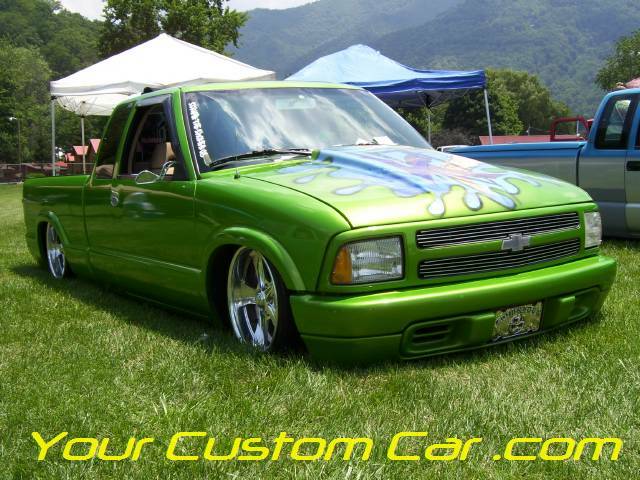 There were at least two pin-striping professionals at the show, including John from Drop Em Wear? 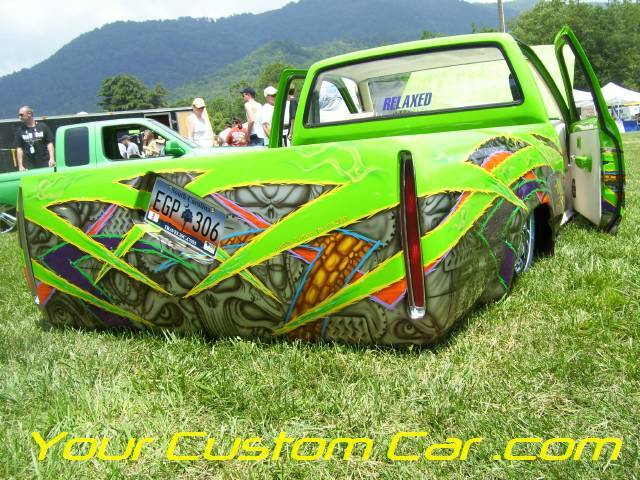 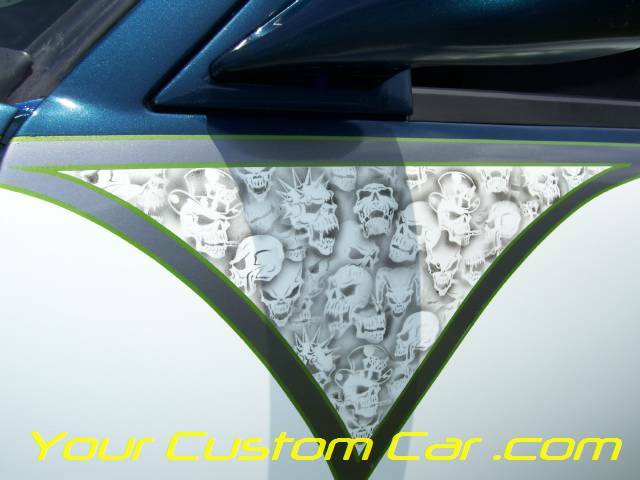 and another fellow that travels to shows to apply killer striping graphics on location! 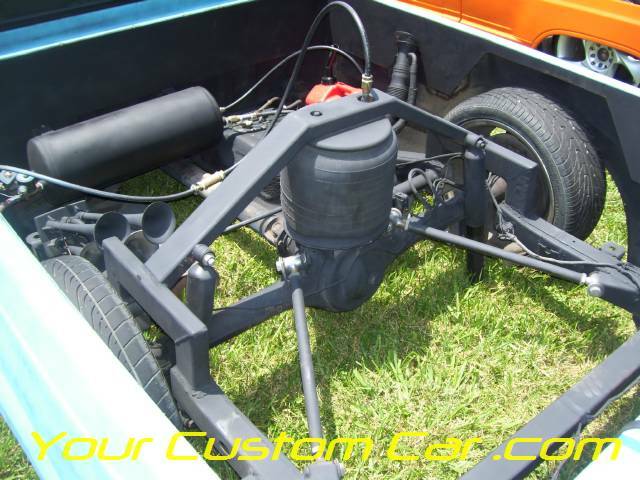 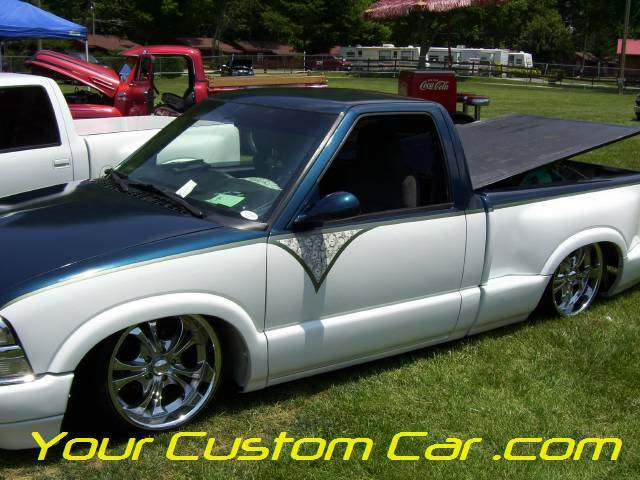 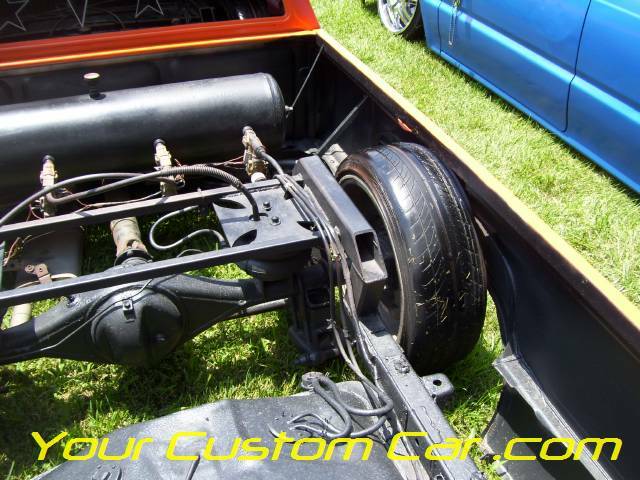 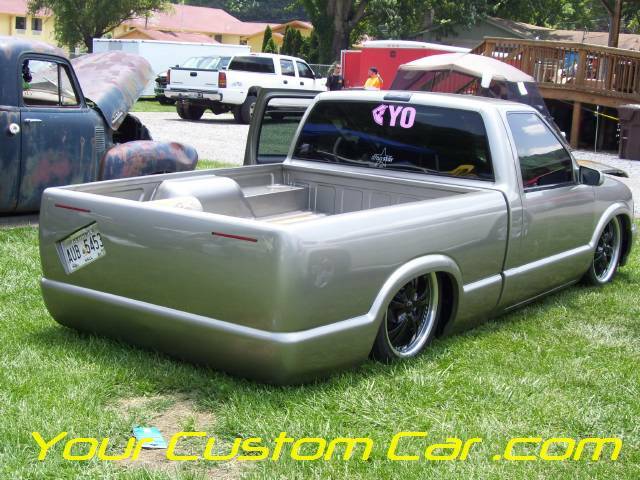 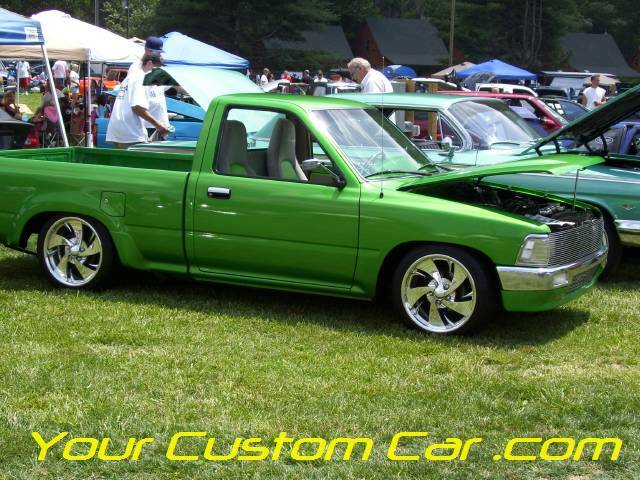 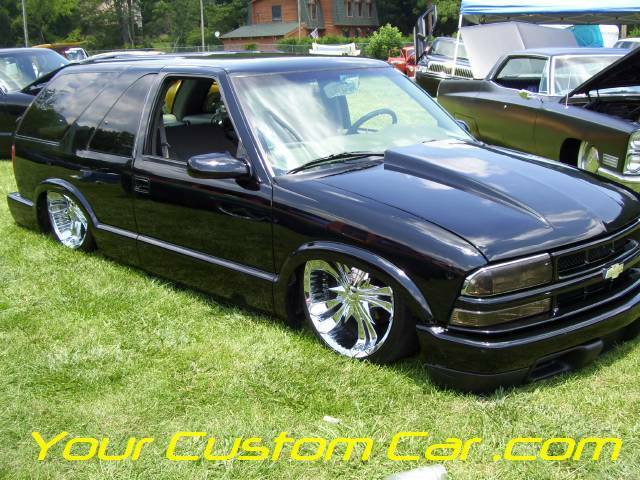 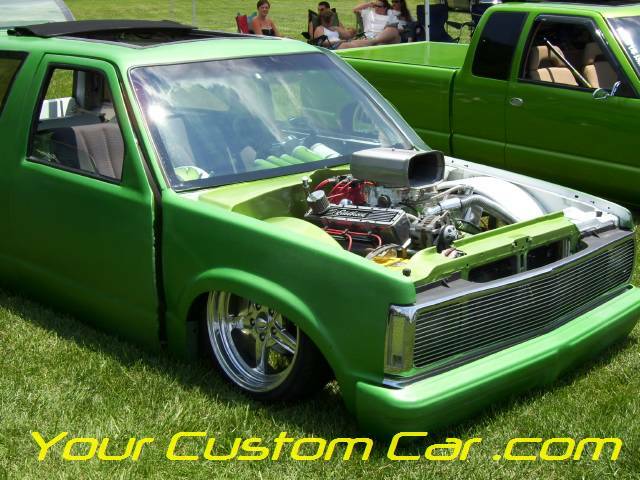 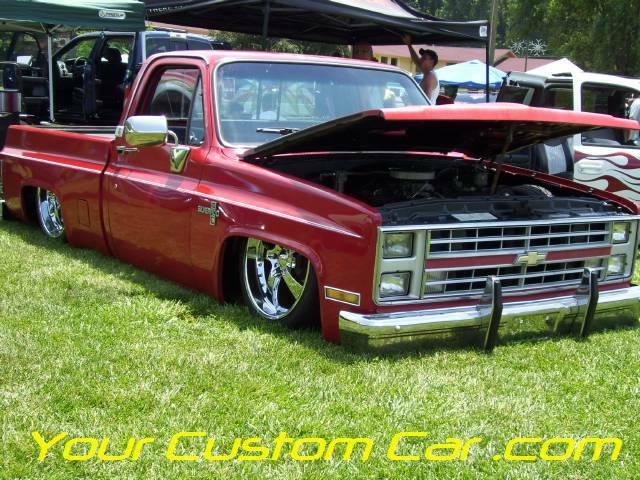 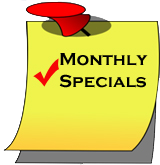 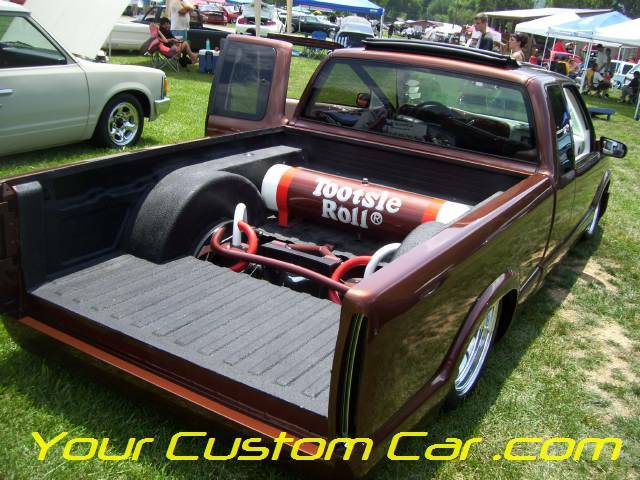 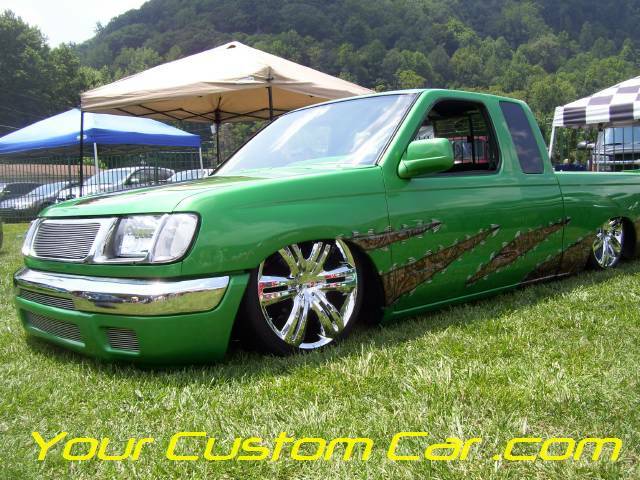 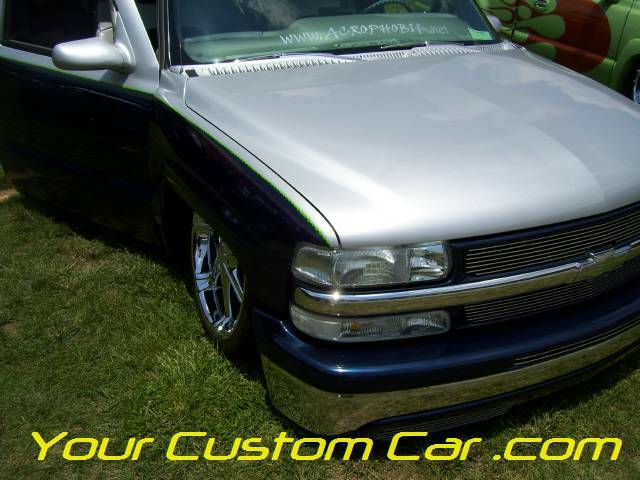 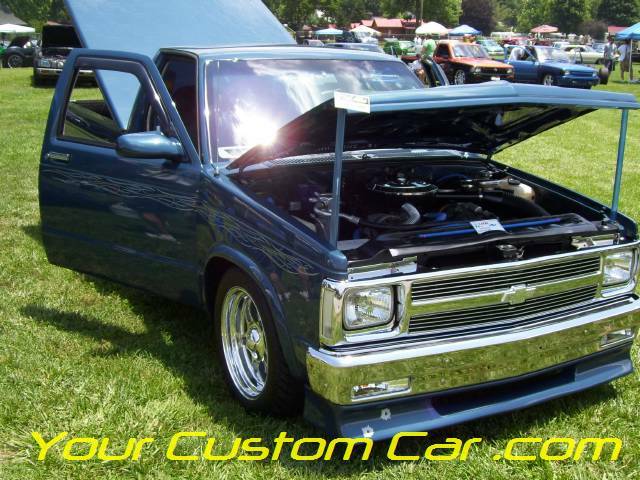 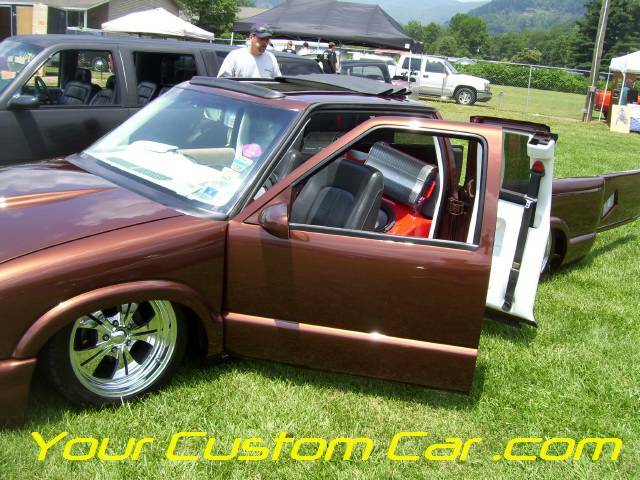 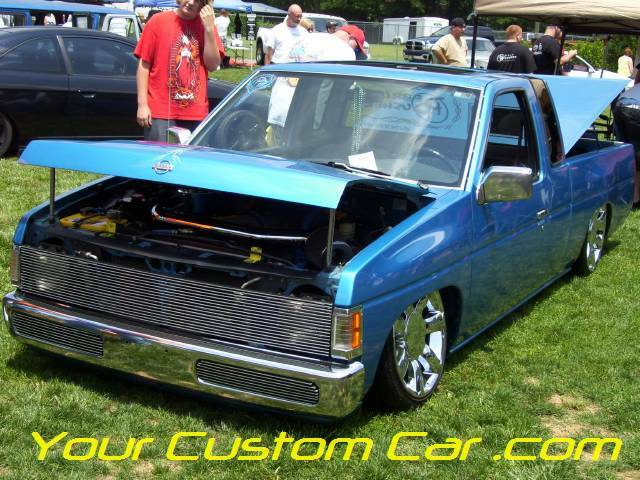 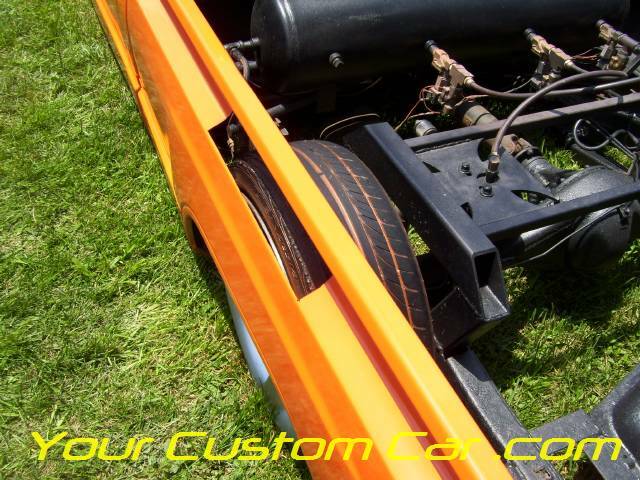 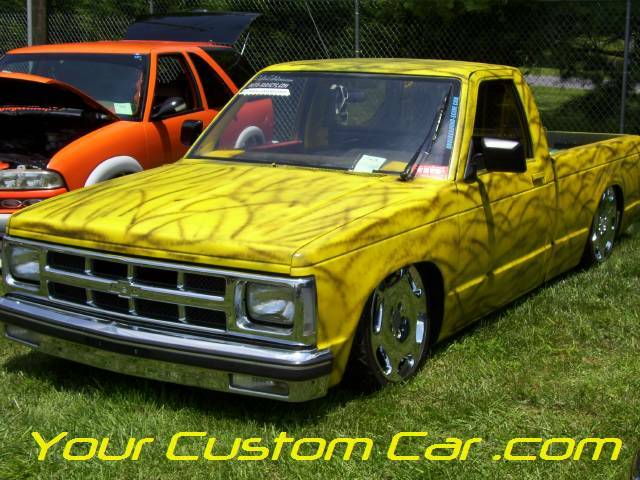 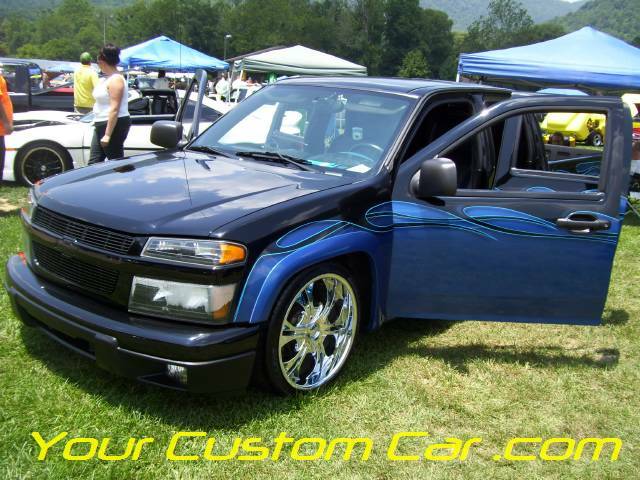 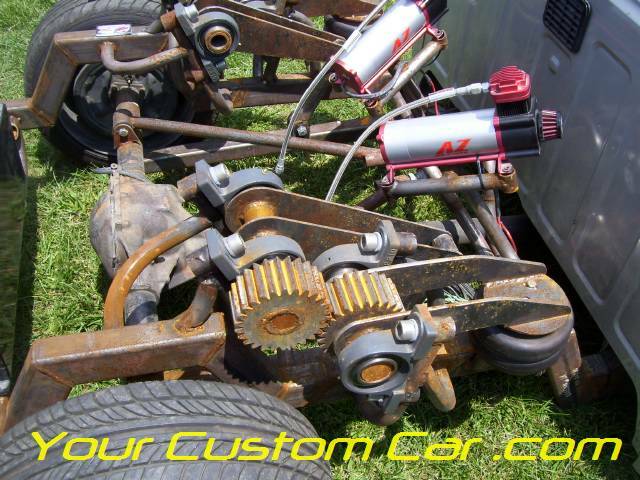 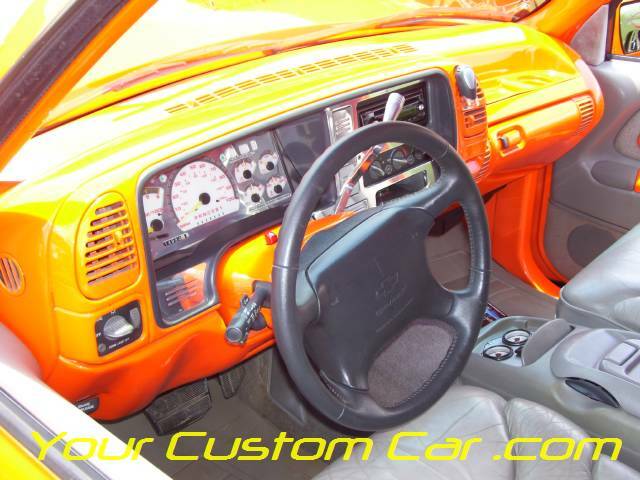 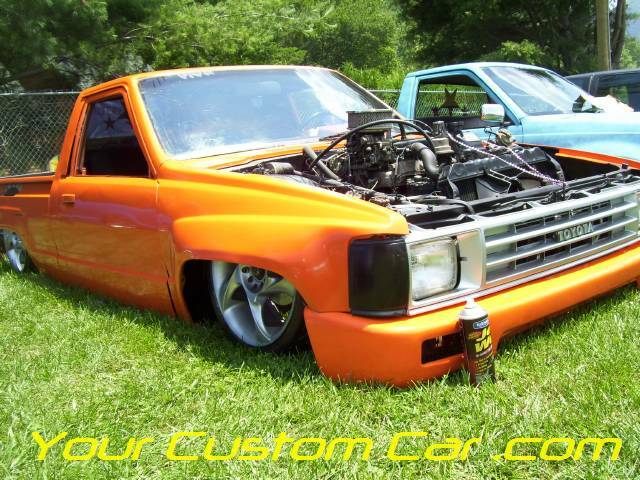 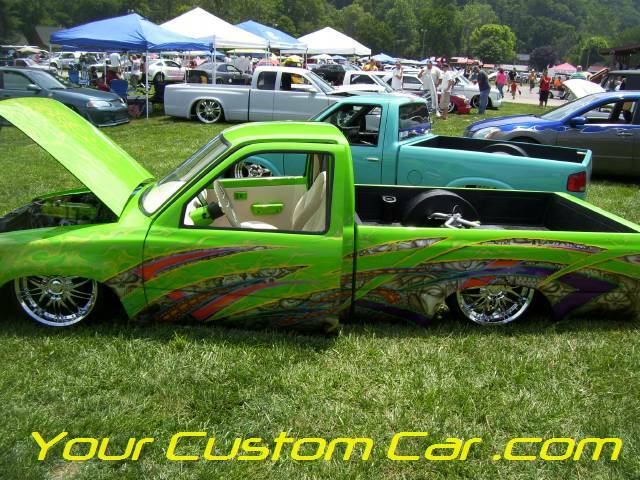 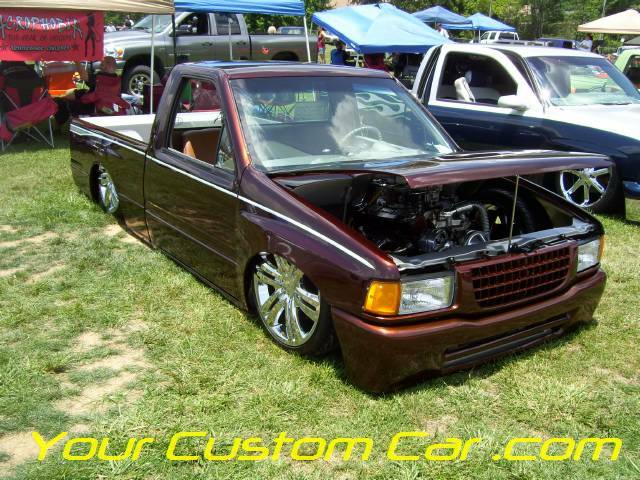 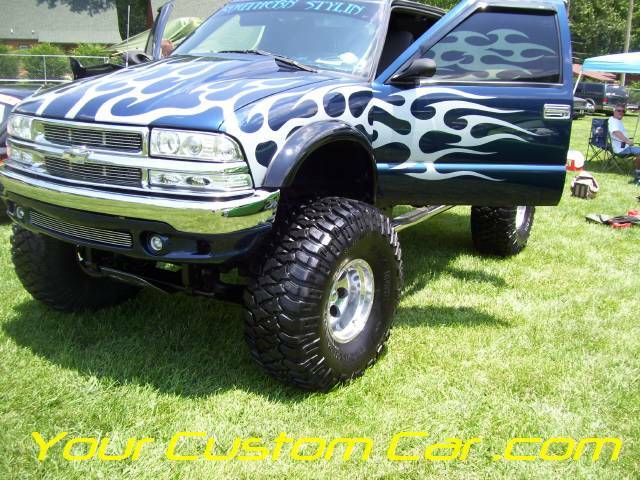 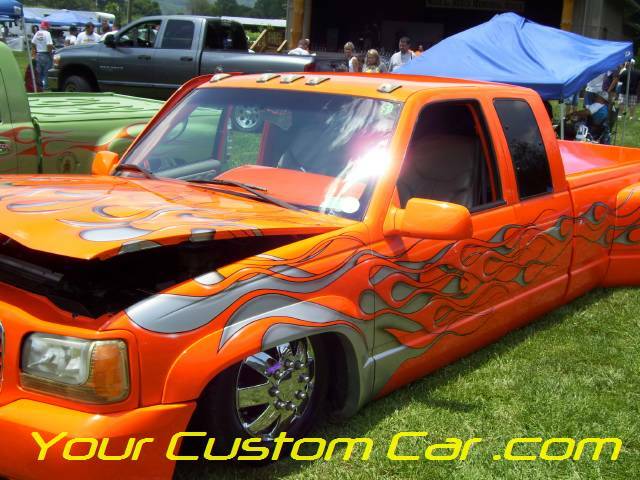 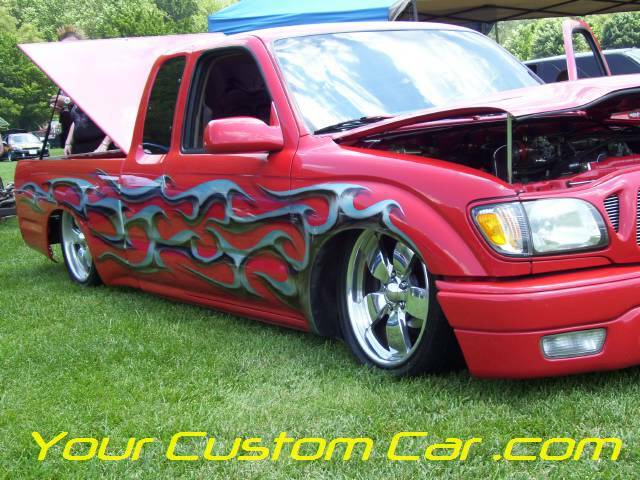 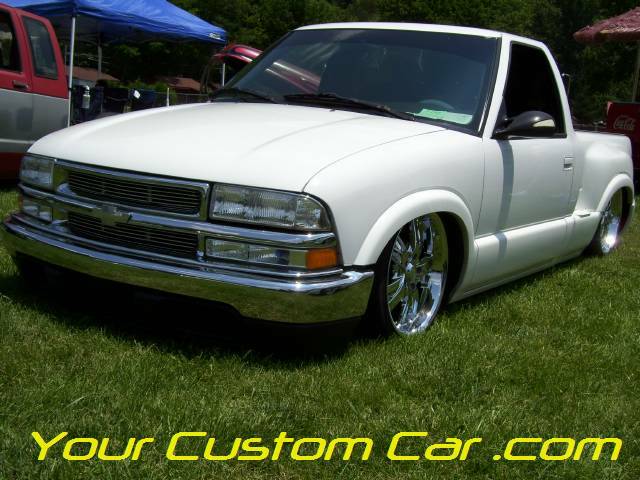 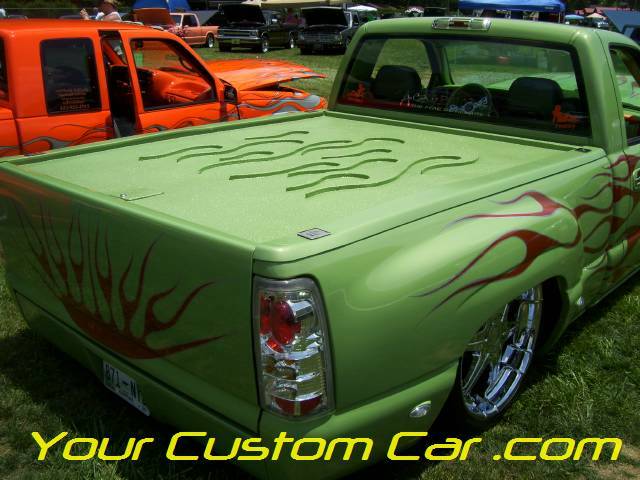 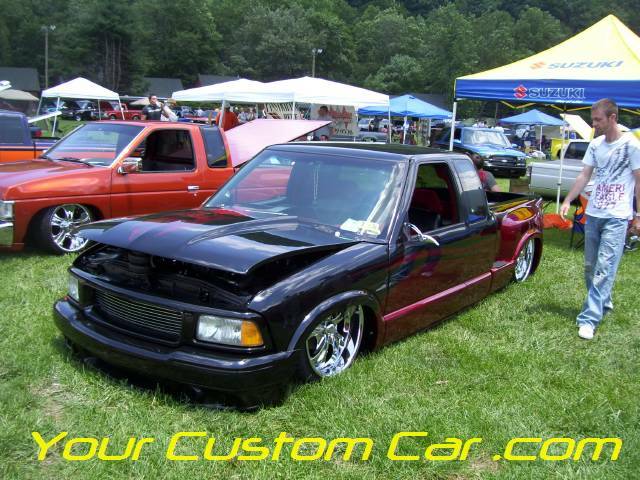 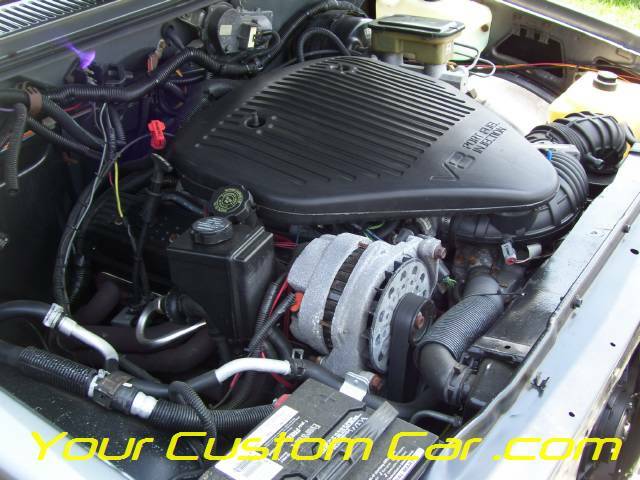 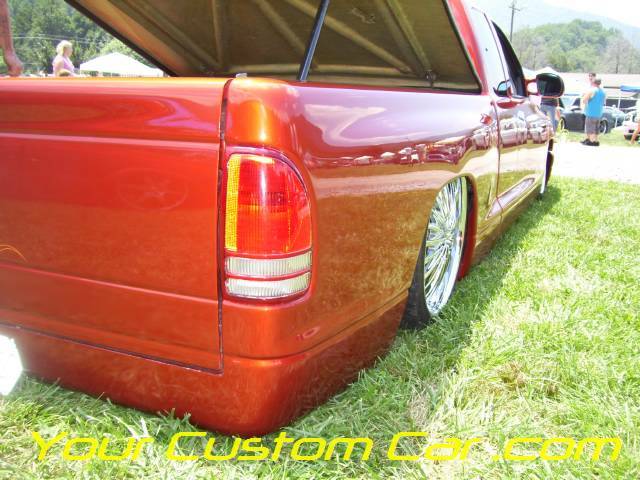 For ways to get your truck as low as the ones at the MiniTruckin Nationals, click here to see air suspension products!